Just kidding. I had a lot of fun looking up the answers to these questions and can’t wait to share my newfound knowledge with you all. I hope you have as much fun reading it, as I did with the research and writing. Enjoy! 1. When is it time to replace my pillow? 2. Why do pillows come in different sizes and shapes? 3. Can I give away my used pillows so others can use them? 4. Are firm pillows better than soft pillows? 5. What are herbal pillows for? 6. What’s so special about silk and satin pillowcases? 7. What are the best pillows for backpacking and camping? When is it time to replace my pillow? The long answer: Pillows, as much as we love them and grow attached to them, can become really dirty. Remember that whole discussion on dust mites and how they are the leading cause of allergies? Then you’ll remember too that dust mites happily make their homes in our pillows. So it does boil down to comfort vs. cleanliness, and that’s a no-brainer. Cleanliness wins hands down. But dust mites aren’t the only problem of old pillows. Pillows also absorb sweat and oil from our bodies. This can make our pillows smell funny as time goes by, especially for people who live in warm locations. And take note, even pillows that are washed regularly, like every six months, should still be replaced after two years! Although, here’s a pro tip for making pillows last longer, especially for singles. When you buy pillows, you always get them in pairs, right? Especially if you sleep in a double, queen or king sized bed like most adults do. One thing you can do is rotate their usage so that they don’t wear out as quickly. Or, at the very least, swap the side of the pillow that you use, so that your pillow wears out evenly. Using a protective pillowcase is also a good idea for making your pillow last longer. These are not too expensive and are a good, simple investment for taking care of something that you use every night. You wake up with neck pain. Chances are, the pillow is already too flat for washing or even just nightly usage, and it no longer keeps your neck, head, and shoulders in proper alignment. It’s lumpy, and no matter how hard you try to fluff it out, it stays lumpy. It smells bad. You can smell it through the pillow protector and pillowcase. It fails the folding test. Like I’ve said before if you fold a pillow in half and it stays that way instead of springing back to a flat position, it’s time to say goodbye. FYI – natural pillows last longer than synthetic ones. Down, buckwheat and latex pillows last the longest. Why do pillows come in different sizes and shapes? The short answer: Because beds come in different sizes. And each shape of the pillow has a particular function. The long answer: Pillows come in different sizes because beds are different sizes as well, and pillows must match beds in size, right? There are four sizes of pillows all around the world. Standard pillows. These are the pillows for twin or single beds. The usually measure 20″ x 26″ or 51 x 66 cm. Two standard pillows fit across a queen-sized bed, and three of them fit across a king-sized A standard pillow uses a standard pillowcase. Queen pillow size. These are for queen sized beds, naturally, and measure 20” x 30” or 51 x 76 cm. A queen pillow also uses a standard pillowcase, and two queen pillows fit perfectly across a queen sized bed. King pillow size. These are for the biggest beds of all, king-sized beds, and measure 20” x 36” or 51 x 92 cm. These, however, are too big for standard pillowcases and therefore require king-size pillowcases. Euro pillows. These are square in shape and measure 26” x 26” or 66 x 66 cm. They’re so much bigger than other pillows around the world, honestly! They are used for leaning against headboards or when folded in half, are used as regular bed pillows. And of course, they require pillowcases made for their size. Pillow number 1 is for putting in between the legs and is used by people who experience pain in their hips or backs because it aids in supporting the lower part of your spine. It can also be put under your feet and ankles, for when you need them to be raised up. Pillow number 2 is a tufted pillow. These are mostly decorative cushions with pompoms or buttons in the middle. The great thing about them is they keep their shape, because of the pompoms or buttons, for a very long time. Pillow number 3 is a bolster pillow, which is shaped like a sausage. These pillows have a number of functions, such as hugging at night, to give knee support, for side sleepers. They can also be used for arm support for breastfeeding mothers, or to prop up your book when you read in bed. Pillow number 4 is for side sleepers who may have issues with neck or back pain. Because of the pillow’s L-shape, it can be inserted between the head, shoulders, and neck so that the upper back won’t experience too much strain. 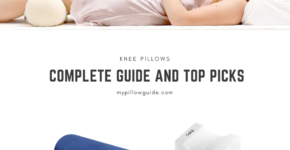 Take a look at what I wrote if you need a buyer’s guide for the best pillow for neck pain. Pillow number 5 is a flat pillow made for stomach-sleepers. Pillow number 6 can be wrapped completely around your body for snugness and comfort. Can I give away my used pillows so others can use them? The short answer: Sadly for Mother Earth, no. The long answer: No, but, there are many other uses for pre-loved pillows after they “graduate” from your bed. Because we’ve talked about how much dirt, dust mites, and other things can accumulate on your pillow, they really should not be given to someone else for their use. This would be inadvisable because of hygiene issues. However, there are many uses for old pillows, so that your environmentalist, tree-hugging self won’t feel so bad. Pet beds. You can line the beds of your furry four-legged darlings with your old pillows. The bonus is that your pillows retain at least some of your smell, making them attractive to your fur-babies. Packing and moving. Old pillows (as well as old blankets) can come in handy when you’re moving houses and need to protect your fragile furniture from damage. For example, cut down old memory foam or latex pillows and wrap the legs of your piano, desk or sofa in them, so that they are protected. Throw pillows. If you are the creative DIY type of person who loves to decorate your home with beautiful things, why not make your own throw pillows? Use the filling from your old pillows for the new throw pillows, choose a bright and beautiful fabric as a cover and voila!—instant decor. Door draft stoppers. These are an excellent way of keeping the cold wind out of your flat or room during cold months, and an inexpensive way to give your pillows new life. You can find out how to do it here. Giant floor cushions. These are great for lounging on while you watch TV with the family or when have board game night or any other time you have visitors come over. Two of your bed pillows can make a giant bed pillow, and this article shows you how. Giant floor pillows are great for your child’s toy room, too. Gardening cushion. Tending your garden is good for your soul and peace of mind, but it can be tough on the knees. You need support for your joints for the time that you’ll be planting, weeding or even harvesting fruit or cutting plants. The solution? Make a pillow for your knees out of your old pillows. You can find a good tutorial here. I hope that you find the answers to be interesting and useful. Pillows are part of our daily lives, and it’s good to know as much as we can about them. Are firm pillows better than soft pillows? The long answer: There is no answer to this question. I have said this over and over again, pillows are highly subjective objects and everyone’s got a personal preference. As long as a pillow allows you to sleep comfortably and well, and you wake up relaxed and pain-free, it is the best pillow for you. Now, it may not be the best pillow for your mom, partner or BFF, because they may prefer more height (or less), more softness (or less), or even special features such as aromatherapy, built-in music, an alarm clock, etc. Back sleepers, more often than not, tend to need firmer pillows for adequate neck support. And if you are a snorer, you may even want a pillow that lifts your chin to prevent snoring. Your partner will thank you for this, trust me. Side sleepers tend to need high pillows since pillows with a lower loft will mean that more pressure will be on your shoulder, which could cause some pain. Stomach sleepers need flat pillows to prevent them from waking up with a crick in the neck. Many stomach sleepers actually start out with pillows when they first fall asleep, and then toss them away sometime in the night. At the end of the day, personal preference and comfort are still the keys to getting the best pillow for you. There is no one “best pillow” for all of humanity because we all have different shapes, sizes, and tastes. For those who want to be sure about their pillow choices, check the warranty before you buy, so that if the pillow you get doesn’t work out for you, you can return it and get your money back. This will make you feel better, especially if you need to spend more. What are herbal pillows for? The short answer: Pain relief. The long answer: They are a wonderful natural substitute for pain medication or liniment when you’ve got sore spots on your body or other minor ailments. 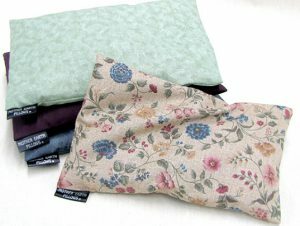 Herbal pillows are little rectangular cushions as small as 3/12″ x 7 1/2” or as big as 21″ x 14”. Since they are organic, they are usually filled with seeds, grains or buckwheat hulls as well as herbs and/or essential oils. When heated in the microwave for a minute or so, they’re applied to the sore or aching part of the body for some wonderful soothing relief. 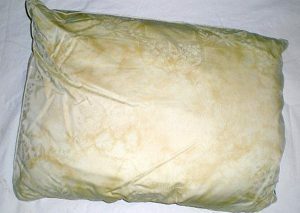 You guessed it, I love my herbal pillow, which is scented with eucalyptus and patchouli oil. I put in on my stomach when I have cramps, and then I am instantly happy again. But these are not just for body aches and pain, they can also help relieve stress, tension, sinus problems, stiff joints, migraines or other headaches, and can even help clear your sinuses. If you have skin that’s easily irritated, best to get herbal pillows that have scent or essence inside, instead of using essential oils, which could cause skin rashes, though. How long you heat your herbal pillow depends on its size. Smaller pillows take about half a minute in the microwave, and then slightly longer periods the bigger the pillows are. Now, be very careful since over microwaving the pillow could damage the organic stuffing, so make sure not to go too much over one and a half minutes. As an alternative, most herbal pillows can also be refrigerated and used when they’re cold. If you’ve got a fever or sunburn, or are experiencing hot flashes, keep your herbal pillow in the refrigerator or for a short while in the freezer for some soothing coolness. Only make sure to keep the pillow in a plastic bag when you put it in the fridge so that it doesn’t absorb any food smells. And herbal pillows should never be put into the washing machine. Simple spot cleaning should be fine. What’s so special about silk and satin pillowcases? The short answer: Beauty aids. The long answer: If you are tired of cotton pillowcases, using a silk or satin pillowcase can have surprising health and beauty benefits. So it makes a difference if you sleep on a cotton pillowcase or a silk and satin one? Surprisingly, yes. Sleeping on silk or satin can be good for both your skin and hair. Let me tell you a little story: one of my close friends had a daughter with very curly hair. Combing out her tangles was a nightmare, and the little girl screamed in pain every time her mom tried to brush her hair out in the morning. Her mom did a little research and bought her a silk pillowcase, and it made a tremendous difference in the number of tangles the child had in her hair. No more morning tantrums. For us ladies, silk and satin pillowcases prevent split ends, which is a welcome bonus indeed. Silk and satin, since these are very soft and smooth, even slippery-feeling materials, don’t pull on your facial skin when you sleep, in the way that cotton does. So silk and satin prevent you from getting sleep lines, wrinkles, and even pimples. They also prevent your eyelashes from breaking. Again, we women love this, I know. On the medical side, people who have balding issues due to chemotherapy or other causes, report that they lose less hair when they sleep on fabric such as silk or satin because there’s less friction. Also, silk and satin are cooler to the touch, and so help keep you cool when you sleep. Additionally, since silk is a natural fiber, it is both hypoallergenic and resists mildew, dust mites, fungus, and molds. The biggest difference between silk and satin pillow covers is in their price. Since silk is naturally produced by silkworms, it can be quite expensive. You can buy satin pillowcases for under ten dollars, but the silk ones are at least twice as expensive. What are the best pillows for backpacking and camping? The short answer: Whatever’s comfortable and you can carry easily. The long answer: It’s a whole new world out there! 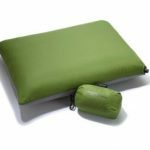 There are so many cool options for backpacking and camping pillows that you are sure to find something that suits your needs. I’m perfectly serious. There are so many new camping or backpacking pillows that researching about them was an absolute delight. These innovative pillows can be classified into three kinds: inflatable, compressible and hybrid. Inflatable pillows. 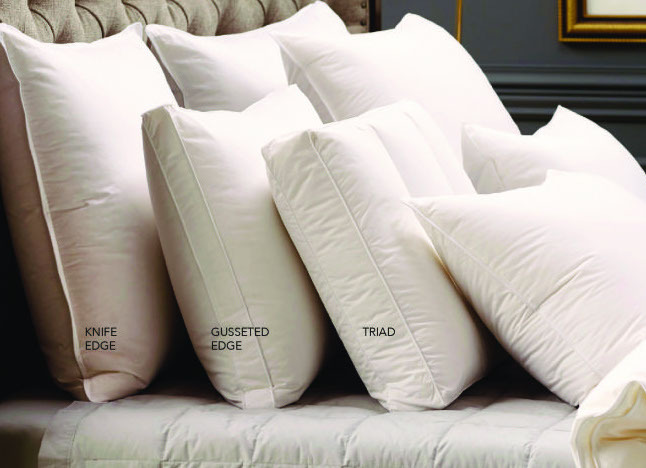 True to their label, these are the pillows that can be blown up. They are a perfect companion for campers/backpackers/adventurers since they are extremely portable—being lightweight, very small when deflated and folded, washable and inexpensive. You can also adjust their thickness to your taste and preference. However, they’re not the most comfortable of pillows and tend to make noise when you toss and turn. Compressible pillows. These are filled with natural or synthetic materials. They are much more comfortable than inflatables because they basically have the same feel as the pillows on your bed. But they are not nearly as portable as inflatables because they are heavier and bulkier, and they get dirty easier. Hybrid pillows. These are a combination of the two. They have parts that are filled, and parts that are inflatable. Sounds like a happy compromise between the two options, although if you want to travel light and are only backpacking, make sure you get one that’s not too heavy and/or bulky. But wait. Aren’t travel pillows just the same as backpacking/camping pillows? Can’t you just use your favorite travel pillow when you go on your backpacking or camping adventures? Technically, yes, if you like. 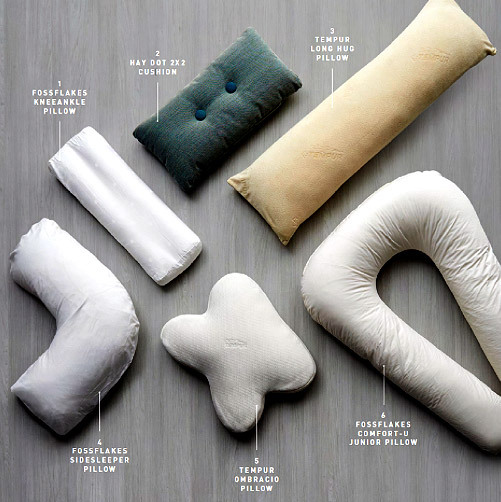 But please remember that many travel pillows are u-shaped or wrap around your head or neck, and are built for sleeping while sitting in chairs on a plane, train or bus. 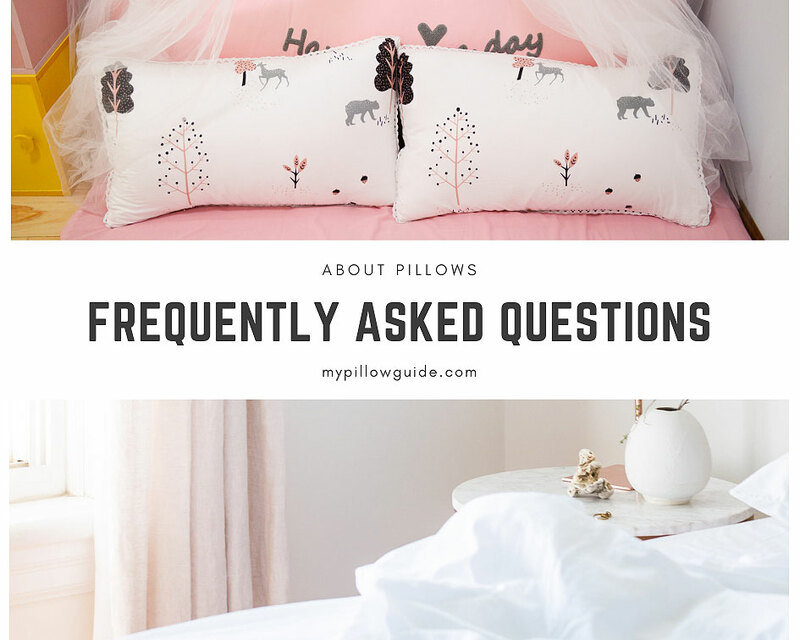 And there we have it – seven of the most frequently asked questions about pillows and the most comprehensive answers the net can provide. Pillows for me are endlessly fascinating and I love to learn more about them. Do you have any questions about pillows? Let me know if you do, and I’d love to get some answers for you. Ciao for now! Till next time!